Ricardo Medina Jr. was arrested on Wednesday and charged with the stabbing murder of his roommate from an altercation in 2015. Medina was initially arrested for the stabbing, but later released on a self-defense claim. The Former Power Rangers Samurai star Ricardo Medina was arrested Wednesday morning and charged with the 2015 stabbing murder of his roommate, the Los Angeles District Attorney’s Office announced. Medina has been charged with one count of murder for the fatal stabbing of Josh Sutter at his house in Palmdale, Calif., on Jan. 31, 2015. The two allegedly got into an argument over Medina’s girlfriend, and Medina apparently stabbed Sutter multiple times with a sword after the argument turned physical. Medina was arrested for the stabbing about a year ago, but claimed that it was self-defense and was released. However, he was not charged with the crime during that arrest, unlike the one that occurred on Wednesday after more investigation from the DA’s office. Medina is set to be arraigned Tuesday at the Antelope Valley Branch of the Los Angeles County Superior Court. Prosecutors will ask that bail be set at $1 million. If convicted, Medina faces 26 years to life in prison. 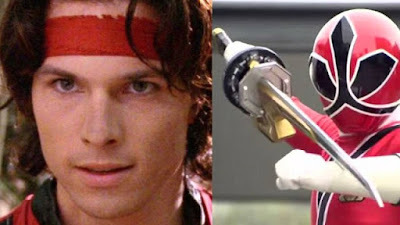 Medina starred in Power Rangers Wild Force as Cole Evans for 39 episodes in 2002. He would return to the franchise in 2011, playing Deker in 24 episodes of Power Rangers Samurai.